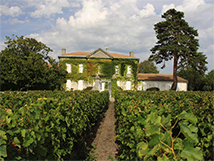 When it comes to entrepreneurial spirit, and names in Bordeaux who have come to epitomise quality, rejuvenation and new or recent chateaux acquisition it is probably Bernard Magrez who most readily springs to mind. But another person cut from the same cloth is Jean Guyon. Not from a wine family background (antiques and interior design in fact) Guyon became enthralled by wine at an early age, and his first acquisition was Château Rollan de By in the Médoc in 1989. He has taken the property from under 3 hectares to over 60, and replanted the vineyards with an encépagement more suited to their soil conditions. 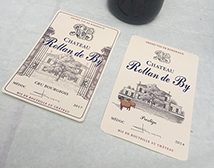 Rollan de By has been an ‘insider's’ Bordeaux for years, and I regularly buy some when it becomes available in my local Foire de Vins. 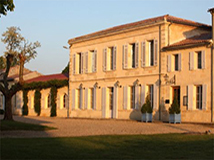 Its attractive price and dependable style and quality make it perfect for people who want to drink really good Bordeaux, without the exotic prices that the great names now fetch. I was delighted, therefore, to run into Richard Dupont, who oversees the company’s sales in Asia, when I was at Prowine in Shanghai last year. He invited me to taste with him when I was in Bordeaux for the Primeur week in April, and very kindly - because our schedule could not allow for a trip up to the property - they opened all the wines for us to try in their offices in the city. It was a pleasure to meet Jean Guyon himself, a charismatically charming Bordelais gentleman, and also to taste some wines which weren’t embryonic 2017s (as well as those that were!). I was also impressed that Richard and Jean took pleasure in showing a couple of ‘lesser’ vintages – the acid test (occasionally literally!) 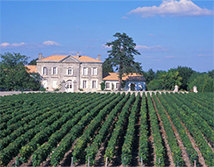 of how well a château, especially in Bordeaux, is performing. Which was well, in these cases. Domaines Rollan de By - Jean Guyon now extends to seven properties (we tasted from the leading five châteaux) , with the celebrated Cru Bourgeois Château Greysac being the most recent acquisition (2012), but hopefully not the last, because Guyon appears to have a magic touch when it comes to instilling a vitality into his properties and propelling their wines’ quality upwards at an astonishing rate. Catch these while you can, and you are sure to get a bargain. After all, anyone (if super-rich!) can buy a great property and make great wine, but only true genius can radically improve on the wines that the terroir has historically given. 2012 was first vintage made by Jean Guyon following the purchase. 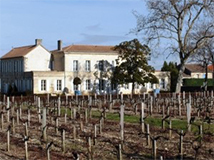 The wine is around €14 – 15 retail in France, and even in a few short years since purchase the progression in quality is readily apparent. 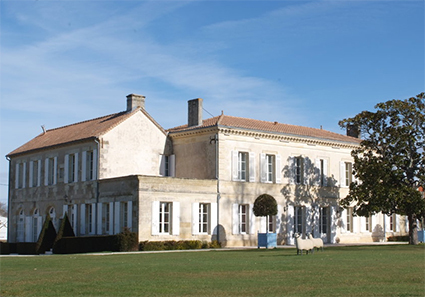 This is the jewel in the crown, a small 12 hectare property near Rolland de By. 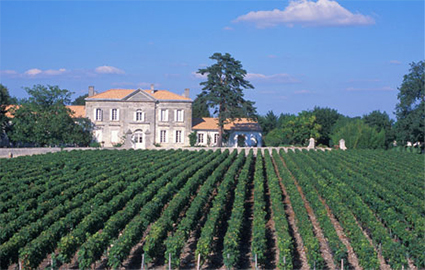 Unusually the vineyard has been planted to 20% Petit Verdot, seemingly a climate-change proof late ripener which can be utterly delicious when fully ripe – which is currently far more likely at this northern end of the Médoc than further south. What a pleasure to be able to taste this comprehensive range of some of the best valued Bordeaux wines on the market. I heartily recommend searching them out before Richard (who is good at his job!) establishes them successfully in China and the market forces the prices up!